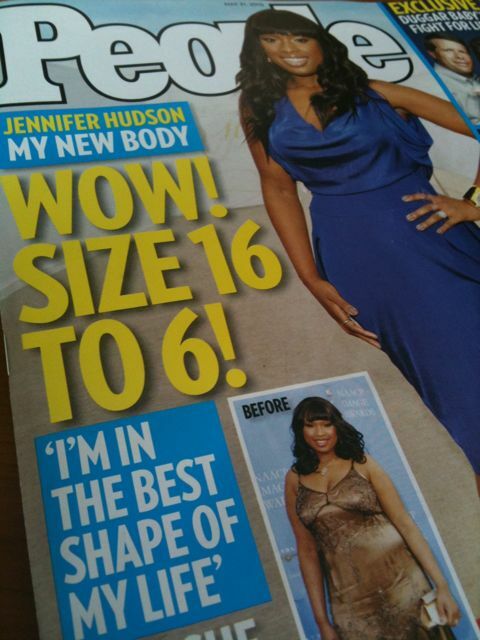 Jennifer Hudson did all the work, but she was following the Weight Watchers plan to lose it. She went from a size 16 to a size 6 so that she could play the part of Nelson Mandela’s wife in a bio-pic of her life. She honestly looks awesome and she deserves all the credit. Losing weight is difficult and I hope it was made a little easier for her by using Weight Watchers. This advertisement really inspired me. 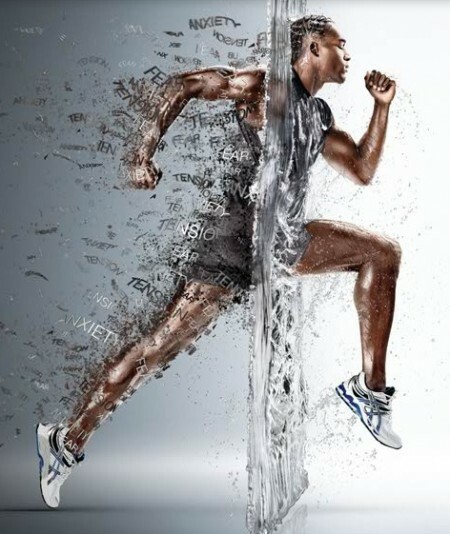 I know it was made for an advert for asthma medication, but the truth is, we ALL have our excuses and trials. We ALL have disabilities that we have convinced ourselves are true. I have a shoulder injury, so I can’t weight train. I am so overweight that exercise is impossible for me. I can’t eat vegetables, they hurt my stomach. I have weak knees, so I can’t exercise. I don’t have the money for a gym membership. I’m a big person. I can’t eat like a rabbit for the rest of my life. I’m busy. I don’t have the time to eat healthy and exercise. I have heard all of these excuses and FAR more. There are ways around every single one of these excuses and there are people out there with shoulder injuries, bad stomachs, weak knees, little money and high BMIs who are losing weight, keeping healthy and working out every day. EVERYBODY has something that keeps them overweight, but the thin people find ways to work around those excuses. 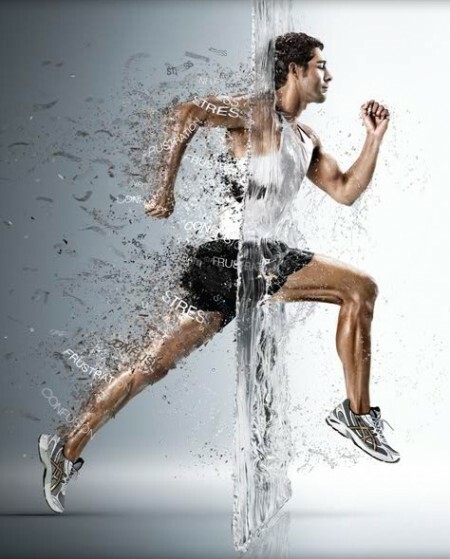 It’s like running (or any strenuous exercise) gives you a mental shower, washing away all the negative emotions and feelings. I’ve felt that effect before, but I have never depended on exercise to provide a release. I am still using food when I am feeling bad. It’s time I got into the habit of going out for a run or bike ride every time I feel like turning to food when I’m not hungry. Here are the three other runners from Asics. If you need a little inspiration to work on your upper body strength watch this little animated video. Using only his arms, he appears to be walking on air! The next time you’re thinking of skipping your weight training, remember this guy and imagine yourself being able to do everything that he can do! Every time I get out of the habit of eating healthy and exercising, I go back to the basics. I make a list of all the things I want to accomplish every day and give myself a star each time I do it. Seeing the stars pile up is really motivating to me and helps me get back into healthy living. Inside, I’m just a little eight year old girl who desperately wants approval. Aren’t we all? This time, I’m using Touch Goal [iTunes Link] on my iPhone to keep track of my good habits. It’s a HORRIBLE clunky, program that is barely usable, so I’m not recommending it, but it DOES give me that satisfaction of seeing those virtual stars for each habit that I am working toward. The awkward interface of Touch Goal isn’t my problem. Even keeping my goals isn’t a problem. 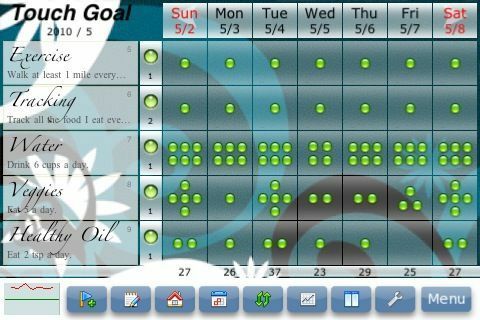 The problem that I have is that I KNOW that in two months, when everything feels natural and I think I’ve assimilated my new habits into my life, I’ll stop giving myself stars (or in the case of Touch Goal, little green dots). I’ll continue with my good habits for about a month and then something will happen. Maybe I’ll go out of town. Maybe I’ll get really sick. Maybe I’ll injure myself and can’t run anymore. Whatever happens isn’t the cause, but the effect will be that I will totally lose my good habits and I’ll have to start all over again after a weight gain, negating everything that I achieved while developing my new habits. This isn’t a self-fulfilling prophecy. This is a cycle that I have noticed in myself over the last few years and I don’t know how to break it. I’ve had good habits for two weeks now, so I only have about six weeks before I stop giving myself kudos for keeping up with my good habits. Yeah, I thought of that one, thank you. Keeping up with the stars is easy enough to do, but somehow it falls by the wayside. Since I am working on my habits, my goal every day is a minimum of exercise. My goal is miniscule. All I require of myself is to walk one single mile every day. It has to be conscious exercise, not the walking accumulated by my regular activities. It needs to be time spent exercising, but all I have to do is one mile. It’s a hilariously small requirement, but it’s the hardest for me to do each day. I procrastinate it every morning. Most days I put on my gym clothes and then proceed to do everything EXCEPT exercise. The other day I read this quote. I’m pretty sure it’s a misquote because I can’t find a proper attribution, but that doesn’t make it any less true. Apparently, my live frog is exercise. If I can do it first thing in the morning, then I feel better the rest of the day. My live frog could have been eating healthy oils or planning my meals, but for me, I procrastinate exercising more than anything else. The next time you’re feeling frustrated with your healthy lifestyle, sit down and think about your own live frog. Is it writing down everything you eat? Is it planning healthy meals? Is it working all your vegetables into your diet? Whatever it is, conquer it as early in the day as possible and the rest of your day will go much smoother. I had an epiphany the other day. I have been struggling with my eating and exercise. I will get everything in order and start exercising again. Then I’ll have to go out of town on a trip and I’ll forget everything I’ve learned because I get out of the habit. I realized that habits are like baby animals. They are very delicate and it’s surprisingly easy to kill them. It takes only a few days of neglect and they die on me and I have to start again. 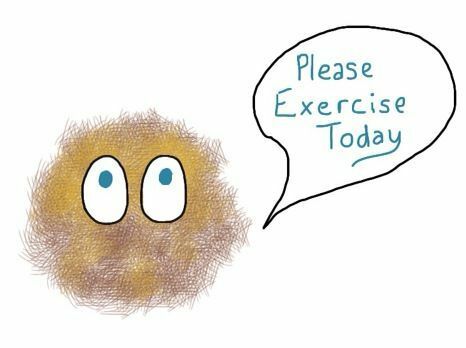 I imagined my habits for healthy eating to be like a fuzzy weeple-like animal and I suddenly felt guilty for all of those I have killed over the last year. If I had an ACTUAL baby animal who was depending on me to keep it alive, there is no way that I would leave it alone in the house while I went out of town. I would defer my trip, find someone to take care of it, or bring it with me. Since habits can’t be sent to the kennel and I’m not willing to put my life on hold until I get to goal weight, I guess I’m going to have to take this baby animal habit pet with me when I go out of town again. If I think of my habits as a defenseless baby animal who needs to be nurtured and cared for constantly, what would I do differently? Find a hotel that will allow me to have my pet: If I had a puppy that I had to take with me on my trip, I would need to find a hotel that allowed dogs. The same is true for new habits. I need to make sure that the hotel has an exercise room and a fridge in my room for healthy snacks and meals. Take care of my pet EVERY day no matter what: Just because I’m out of town doesn’t mean that my habits should suffer. I wouldn’t allow my puppy to go without attention all day. I need to give just as much attention to my new habits as I would a helpless puppy. Provide special food for my pet: I wouldn’t expect the hotel breakfast to have the proper food for a newborn puppy. Why do I expect it to have it for my healthy diet? The truth of the matter is that it’s possible to eat healthy at most complimentary hotel breakfasts, but depending on them to provide me with the food I need is just as stupid as expecting a hotel to have puppy chow on hand. Make sure my pet has fresh water: I don’t know why I tend to skimp on drinking water when I’m out of town, but I continually find myself thirsty and parched. I can’t even imagine leaving a small animal without fresh water. Why do I do it to myself? Imagining my newborn habits as a baby animal has made me more aware at how stupid I have been over the last year. I have allowed countless habits die of neglect and I have brushed each of their deaths off as “falling off the wagon.” If each of those habits had been a hamster, I would feel like a serial killer by now, but I’ve let them die with hardly a thought. I always knew that nurturing my new habits was more difficult when I was traveling. Now, I have a visual representation of why it’s harder and what I need to do to keep my precious little ones alive while I’m out of town.